Heil Ginseng wanted to lower their cart abandonment and also more customers returning to their website. 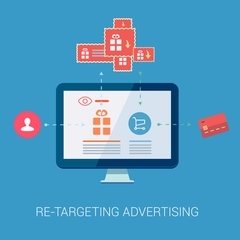 Virtual Vision setup a Shopping campaign using a Google Remarketing List to create an audience of visitors who had visited their site previously and abandoned their cart Using Shopping remarketing lists gives you the ability to segment your site visitors by previous site engagement. You can customize your Shopping bids for groups of users based on previous site engagements, such as “shopping cart-abandoners”, “loyal customers”, or “repeat visitors.“ If you're using Smart Bidding like Target ROAS, adding remarketing lists will help achieve even higher performance for individual audiences. If you need help increasing your ecommerce performance, we can help. Contact Virtual Vision today for more information.